Mattel Focuses On Dad With New Barbie® Campaign | Mattel Inc.
EL SEGUNDO, Calif., Jan. 23, 2017 -- Today, Mattel, Inc. launched a new articulation of the Barbie "You Can Be Anything" campaign focused on inspiring and nurturing the limitless potential in every girl. The new spots, which feature real dads and their daughters playing Barbie®, is a follow up to the award-winning "Imagine the Possibilities" work celebrating a girl's journey to self-discovery through playing with Barbie. The creative includes a 90-second online film and three 30-second cut downs, showcases what happens when six real dads play Barbie with their daughters. At the end, the spots read, "Time Spent in Her Imaginary World Is an Investment in Her Real World," highlighting that a dad's involvement in his daughter's imaginary play contributes to her social, intellectual and emotional development in real life. As Dr. Linda Nielsen of Wake Forest University explains in her work, decades of research shows that girls who have loving, communicative, supportive relationships with their dads from early childhood on are less likely to suffer from a lack of self-confidence and self-reliance as she grows up. 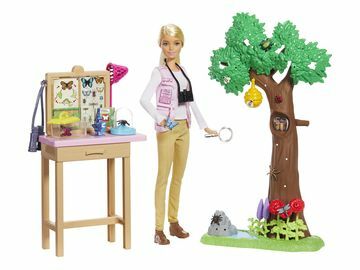 "Over the past year, Barbie has enabled girls to imagine themselves in aspirational roles that range from the fantastical to feminist, from princess to paleontologist," said Lisa McKnight, Senior Vice President and General Manager, Barbie. "Spotlighting father-daughter relationships through playing with Barbie continues to articulate the importance of imagination and creativity on a girl's journey to self-discovery." This integrated campaign will launch during the NFL Playoffs in January with significant television, theatrical, digital, and print advertising designed to reach dads and reinforce the benefits of imaginative play and storytelling with Barbie. 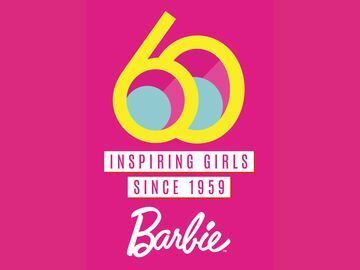 This is the first time Barbie will have a brand-directed commercial on television in the spring. The campaign will pulse throughout the year with social, digital and marketing initiatives in partnership with Social Native, Tongal, and Time Inc. in an effort to engage #DadsWhoPlayBarbie. BBDO's mantra is "The Work. The Work. The Work." Every day, BBDO people in 289 offices in 81 countries work day by day, job by job and client by client to create and deliver the world's most compelling commercial content. For ten years in a row, BBDO has been the most creative agency network in the world in The Gunn Report. More recently, BBDO was ranked the most awarded agency network across all marketing communications in The Directory Big Won for the 12th time in the 13 years since this ranking was first published. In addition, BBDO has been named Network of the Year at Cannes five times and has been chosen Agency of the Year multiple times by every leading industry trade publication. As part of the "You Can Be Anything" campaign, Barbie introduces "Dads Who Play Barbie" focused on inspiring and nurturing the limitless potential in every girl. The ads feature real dads and their daughters playing Barbie, to highlight that a dad's involvement in his daughter's imaginary play contributes to her social, intellectual and emotional development in real life.